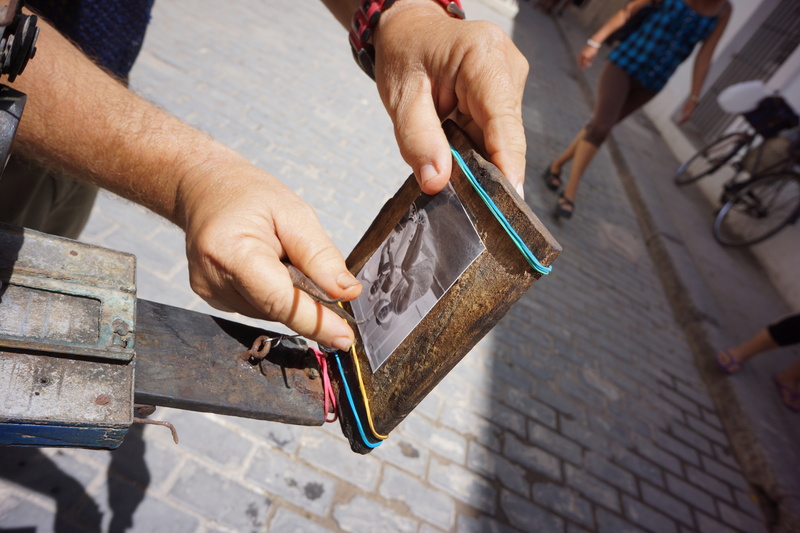 Cuban photography: the positive of negatives « "TeresaBruceBooks"
I fell in love with Cuban photography the moment an elderly street photographer in Havana handed me the still-wet, paper portrait he shot and developed inside a wooden box camera painted bright blue with duct-taped bellows. There was something hopeful about the process – a primitive machine that can only produce a negative and an artist who manages to make a positive from a negative of a negative. That an image so fragile and beautiful could emerge from an outdated chunk of history seems prophetic. 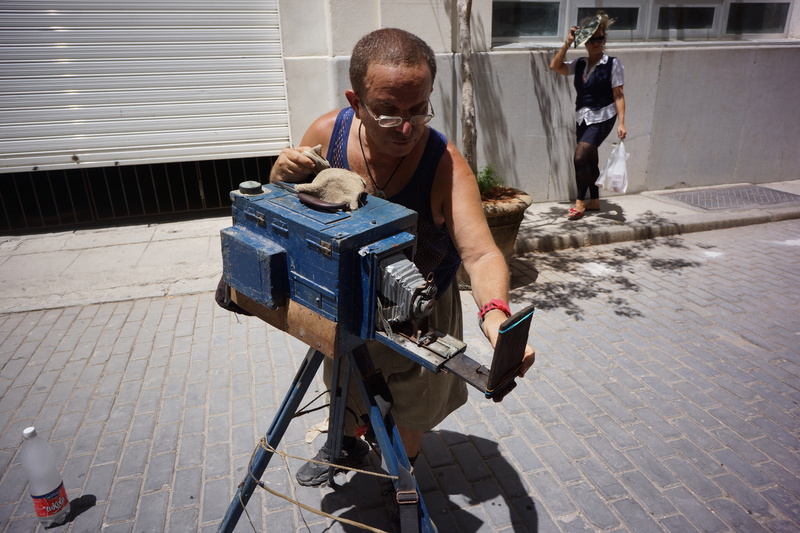 That I willingly forked over twenty dollars-worth of Cuban currency for my first piece of Cuban photography even more so. My print hadn’t even dried before the photographer packed up his box and moved further down the street, closer to a crowd of approaching German tourists fresh off a cruise ship. Remember we Americans are the only ones forced to put ourselves through contortions of travel gymnastics to visit Cuba. According to the New York Times, only 90,000 Americans visited Cuba in all of 2012 and 2013 combined (compared to the 21 MILLION of us who visited Mexico last year alone or the 12 million Americans who traveled to Canada) The rest of the world has a huge head start on exposure to, and appreciation of, Cuban photography. Brayan conveys the street-savvy sense of a new generation of Cuban photographers, influenced by the iconic images of their revolutionary forerunners but eager to move beyond documentation. But the Internet being what it is in Cuba means his gallery doesn’t have a working website. He has no Facebook page to follow. He has to rely on foreign galleries to get his images in front of American eyes. 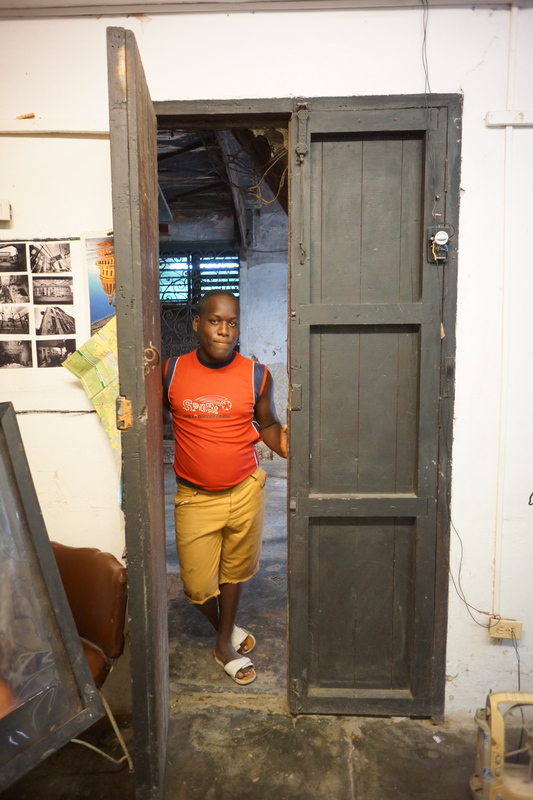 A relative of Brayan’s was on duty when we arrived. The rest of the family lived in the upper levels of the gorgeous but dilapidated building. Some images are framed and hang, slightly tilted, along the cool, crumbling plaster walls. But most are loose eight-by-tens, clumped together in bins or suspended by plastic clothes pins. The humidity inside the non air-conditioned gallery is palpable; the prints tacky to the touch. 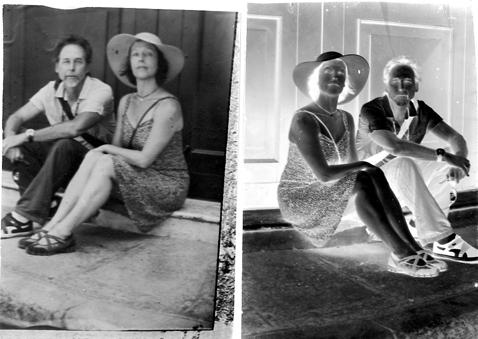 I shudder to think of the condition of the negatives, wherever they’re stored. We buy a print for a ridiculously low price. This isn’t about sophisticated tonal qualities or limited editions likely to increase in price. 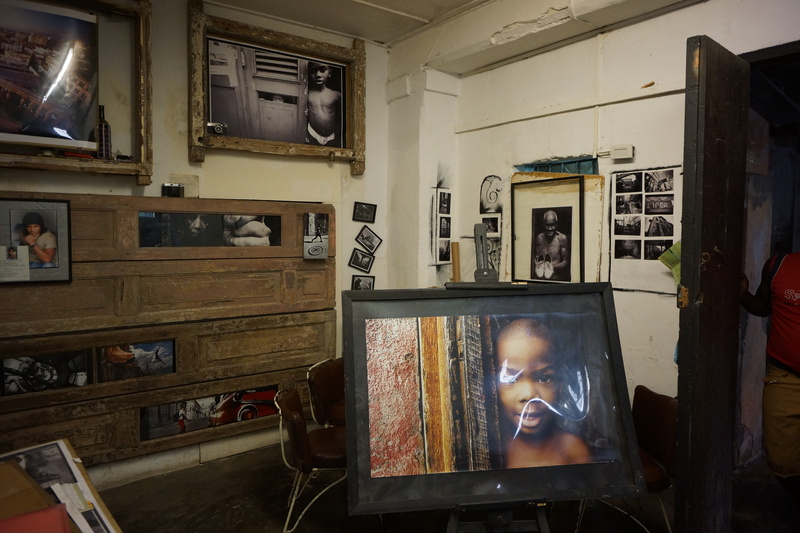 It’s about sending a signal to young Cuban photographers that yes, Americans will support their work. When we’re free to travel without the encumbrances of “people-to-people” tours or special purpose visits with over-managed itineraries we will wander through the galleries and talk to the artists. We will learn. We will listen to the stories their photographs share. We will be inspired. We will buy. And we will spread the word. Starting here. 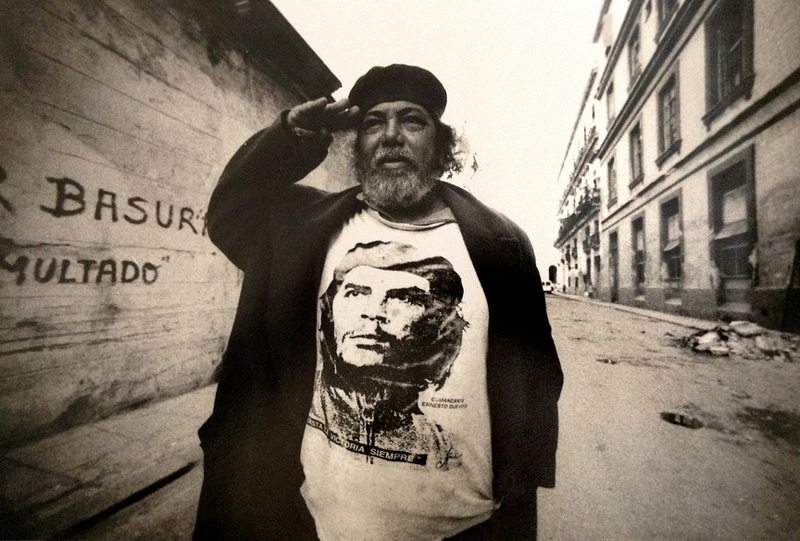 Over the next few weeks I’ll be writing about Cuban photography, beginning with a piece on collecting vintage revolutionary photography before it becomes unaffordable. Stay tuned. This entry was posted in travel and tagged Cuba, Obama, Photography, street photography, Travel embargo.